TaborGrass: Join Mountain Honey at Strum Fest August 12th! Join Mountain Honey at Strum Fest August 12th! The line-up includes Kenny and Amanda Smith, plus Mountain Honey and other local favorites. 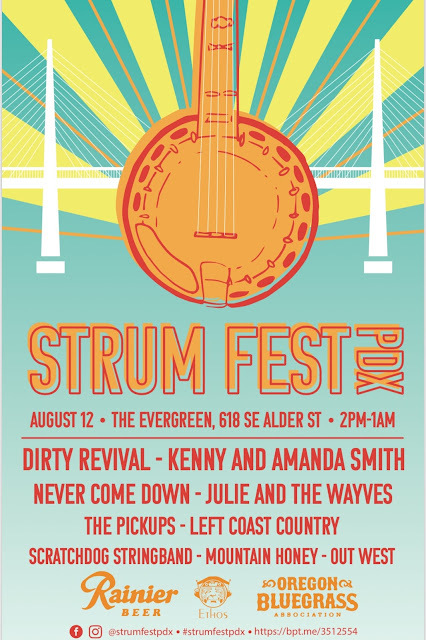 We’re excited to be a part of this brand new Portland festival! Many thanks to Rainier Beer and the Oregon Bluegrass Association for sponsoring this event.